At Ciminelli Real Estate Services of Florida, we represent a number of commercial real estate properties. We have a wide variety of properties in the Clearwater area for lease or purchase, including office, industrial, and flex properties. Our team offers a range of commercial real estate services and solutions for all our clients, and we pride ourselves on building great relationships as well as creating results throughout the state of Florida. Listed below are our current featured properties in Clearwater. For a complete listing, visit our portfolio page. Located in Pinellas Center, this 16 unit Flex Park is situated at the center of the Pinellas County Industrial Corridor. Great frontage on Starkey Rd, just south of Ulmerton Rd and north of Bardmoor Medical Center. Well appointed office/showroom/warehouse spaces. Warehouses have grade level doors, 16' clear ceiling heights and 3-Phase power. Building Size: 57,444 Sq. Ft.
Min. Contiguous Space: 4,650 Sq. Ft.
Max. Contiguous Space: 23,650 Sq. Ft. Prestigious office building located on Roosevelt Blvd., West of the Bayside Bridge. Meticulously maintained landscaping, appealing architecture, and upscale lobby areas provide the ideal image for businesses desiring a premier location. Building Size: 48,502 Sq. Ft.
Min. Contiguous Space: 3,000 Sq. Ft.
Max. Contiguous Space: 9,026 Sq. Ft. 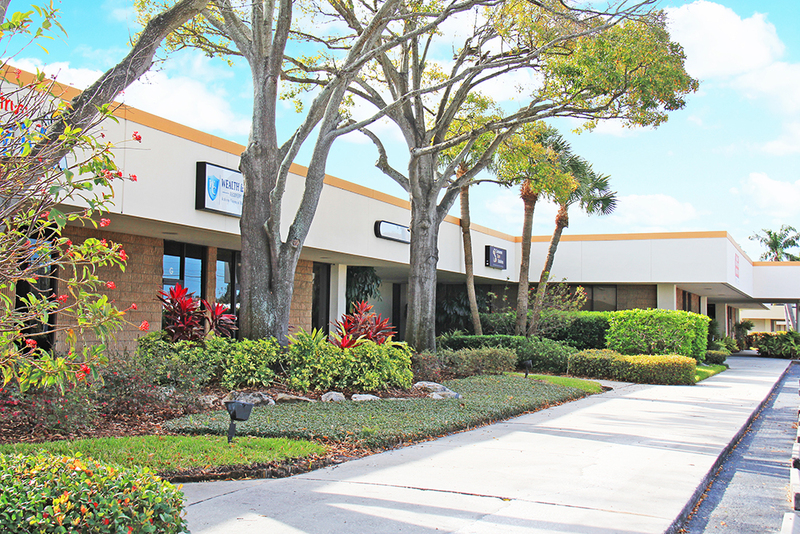 The Powell Professional Center is a newly renovated medical office building featuring exceptional interior design, spectacular views of the Belleair Golf Course, an on-site conference room, covered garage parking and an employee break room with TV. Substantial building renovations have been completed. Adjacent to Morton Plant Hospital Campus. Building Size: 4,700 Sq. Ft.
Min. Contiguous Space: 836 Sq. Ft.
Max. Contiguous Space: 5,107 Sq. Ft.